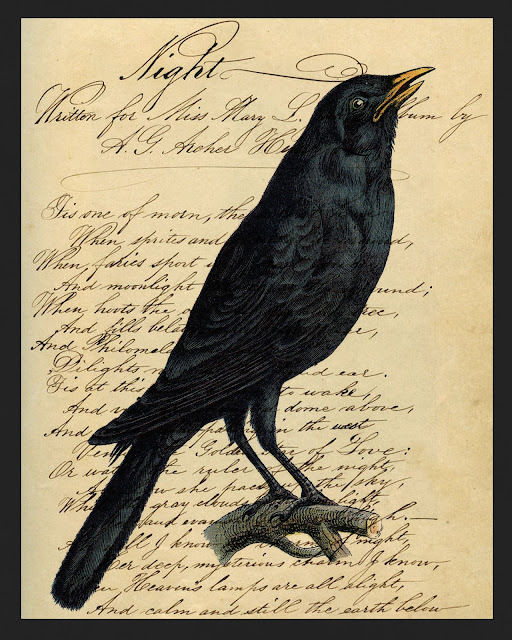 I put this Halloween printable together with two great images from the Graphics Fairy - a crow and some vintage writing ephemera. Just click the image above to download. Happy Halloween! For more Halloween freebies - including lunch notes, treat bag toppers and digital papers - just follow this link. This came out beautiful---thank you so much! I love crows and everything primitive! I'm so glad you like it! This is definitely one of my favorites. The bird is NOT crow. Crows do not have yellow bills and their eyes are black like coal. The tail is all wrong also.